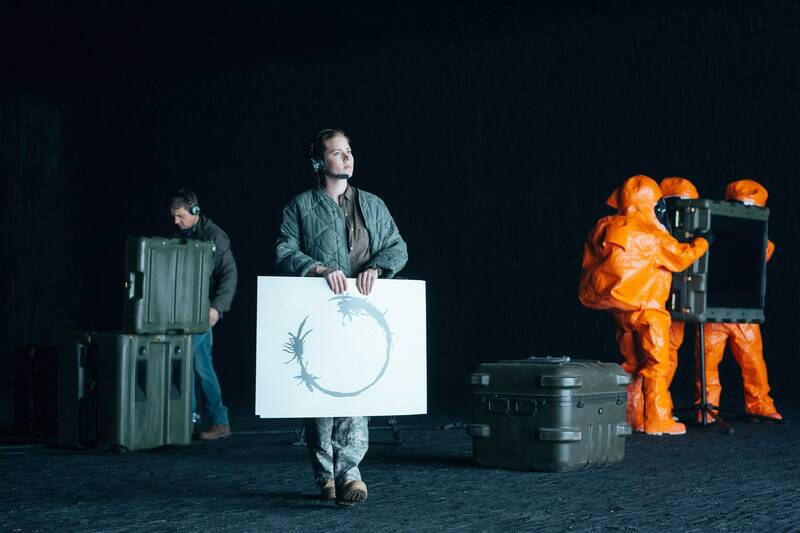 'Arrival' is the fifth alien-centric sci-fi movie to ever be nominated for Best Picture at the Oscars. The 2016 Oscar for Best Picture could very well go to its first science fiction film since the awards debuted in 1929. Arrival, the story of a linguist (Amy Adams) attempting to communicate with an alien race after it’s landed on Earth, is the fifth alien-centric film to ever be nominated for the top award. Despite being perceived as a more “high-brow” sci-fi movie than most, Arrival is not the exception to the Academy’s unspoken rule: Your aliens must be chill to be considered Best Picture Oscar contenders. Appropriately, the first alien-heavy sci-fi movie to ever be nominated for Best Picture at the Oscars was 1977’s Star Wars: A New Hope. Annie Hall won that year, and no other film from the Star Wars franchise has been considered since. Steven Spielberg’s classic E.T. was nominated in 1982. And 2009 was perhaps the biggest year for aliens at the Oscars: Avatar and District 9 both received Best Picture nominations — but the extraterrestrials flew away, snubbed by The Hurt Locker. In contrast to the innocuous breeds associated with the Oscars are classic alien-invasion thrillers such as Alien (1979), War of the Worlds (1953), and Invasion of the Body Snatchers (1956). These films, as defining for the genre as they are, have never been able to catch the Academy’s attention. Neither have The Thing (1982), The Day the Earth Stood Still (1951), Prometheus (2012), Predator (1987), 2001: A Space Odyssey (1968), or even Super 8 (2011). But these films prove that the Academy’s problem with alien sci-fi isn’t the cast or even the stories: It’s the aliens themselves. Best Picture nominations will be given to nice aliens. Now, in 2016, Arrival is up against award season darlings such as La La Land, Manchester by the Sea, Moonlight, and Fences. And while the film may contain some of the most chill aliens yet to be witnessed by the Academy, it still might not be able to achieve the coveted Best Picture award when the 2017 Oscar Awards air Sunday, February 26.